Everyone is in Top Five. OK, not everyone, but it sure feels like each comedian Chris Rock’s ever known agreed to take a small role, a walk-on cameo or a substantial supporting part in the writer-director’s sizzling new comedy. But during the Q-and-A session for Top Five at the Toronto International Film Festival, where Rock’s movie made its debut, he said there was one person he called and asked to be in it… and was denied. We talk about it in the Monday Movie Memo. Chris Rock’s Top Five is a strange anomaly. It arrived on the scene with virtually no buzz whatsoever. But as soon as it started screening, it went from "unknown" to "red hot," and never really cooled off. In fact, up at the Toronto fest, the buzz swirling around the film triggered a massive bidding war, with Paramount emerging victorious. But instead of waiting, the movie rushed it right into theaters – and even harbor a bit of awards hope for it. Rock actually was on Sirius XM this morning trying to drum up Oscar support for Cedric the Entertainer – and that’s not too much of an exaggeration. How will the movie do at the box office? Will it succeed with critics? We discuss it here. 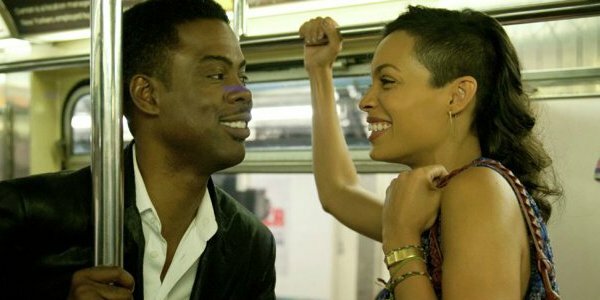 Chris Rock’s Top Five opens on Thursday, Dec. 11.